I saw this car when at the Classic a couple weeks ago... interesting, but when viewed from the rear, the roof slopes to the passenger side... quite a bit. Love the front end though. 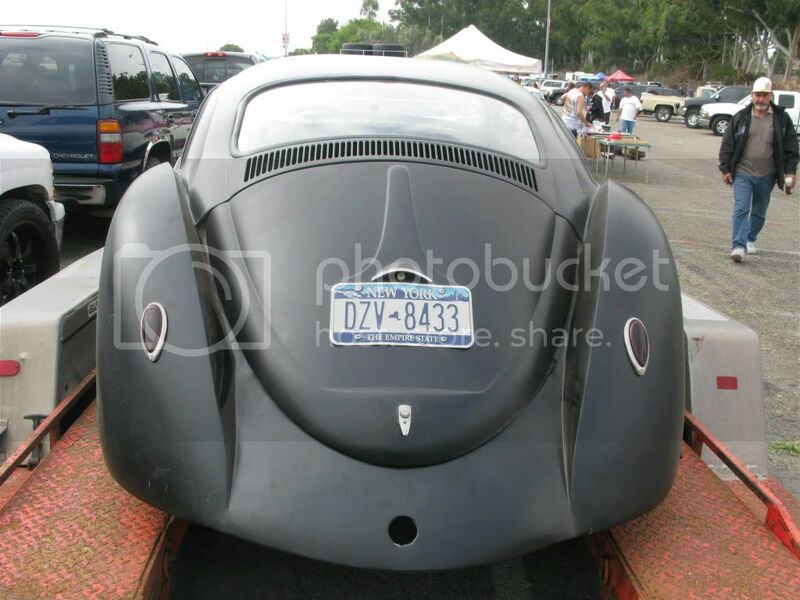 Heres a couple I took of the 37ish bug at the classic. You can see the uneven roof to "starboard" side. Good luck with the hunt Mark. I know it must have been tough to sell the last one. But certainly, anything from you in the future will top the last one. That black one is pretty cool, but some of it looks like it could have been resolved a bit better. I would have taken the peak down the center of the rear fenders and tied it back into the rear aprons. The front could have been resolved a bit different to flow better too. Despite a couple things that stand out to me, it is a cool car and I would roll the hell out it. Last edited by Palepainter; June 28th, 2010 at 06:33 PM. Anxiously awaiting the first cuts. 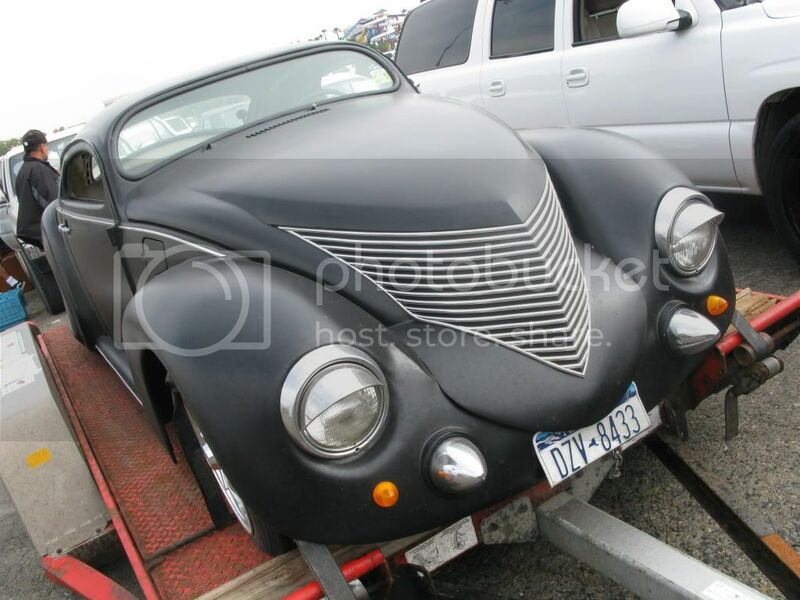 Anyone know where I might be able to find a steel '37 Ford coupe hood and grill? I need these two items to start pulling measurements before I make those first cuts. Speaking of cutting up, I picked up my donor 67 bug with a working air ride suspension and a strong 1776 with dual Dellortos. Will get photos up soon. Wow! That front end is looking great. Nice work. I like that you are keeping the hood low and I presume are going to be cutting down the grill to match. 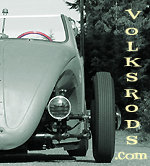 ...but it looks like you have the longer stretched '37 rear fenders on this, so you should have plenty of room. The questions is where to pull the air in from the outside. Should have plenty of room immediately behind the rear of the passenger compartment for some tasteful vents....could even do it from inside the rear fender wells if you filtered it. Going the Type 3 cooling route would let you have a relatively flat rear decklid/trunklid that would be much closer visually to the 37 Hood. Just my 3 cents. No matter what you do, I am sure it will look killer. Last edited by jaransonT3; August 30th, 2010 at 08:07 AM. Going to be your nicest yet! Short intake manifolds and a Puma fsn shroud from CB Performance will give you some room. Rod looks great. I can hear the samba purist already. 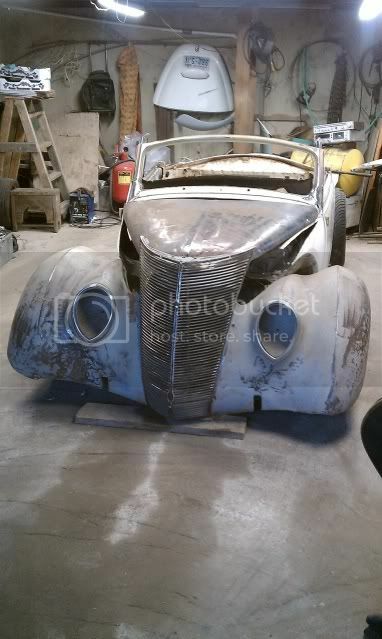 I have no problem cutting up a bug...It's the cutting up of a '37 Ford that caused me the anxiety. Yes the grill will be cut down 8 bars. Little nervous about cutting up $400 and doing it wrong!! Because this car will probably never see rain, and the extra width in the rear, I should have no problem drawing air in from the fenderwell area. Oh, I got my build thread updated. Still have to clear the Alternator/Generator pulley. Might be possible to cut down a Corvair fan and shroud. Man I'm really loving the progress so far. You might want to consider pulling molds when you get it all in primer. If you get the proportions right you might have a really cool kit in the making. Might even be cool to have a custom chassis to get that front end out there where it belongs. Damn you Mark! Have you seen all the drawings and sketches I did back in the 80's? Really like the mockups so far!!! That's funny Hebster! It was Fishguts that submitted all the early renditions...haven't seen yours sorry. Well, at least you know that your idea will really work...putting 37 stuff on a bug. I suppose if PJLOval knew of someone that wanted to pull a mold, we could make that dream of yours come true?? What am I saying...you could build this thing with your eyes closed and probably half scale with one hand tied behind your back? When I widen the rear, I have my fingers crossed that there will be ample room side to side and over the top?? 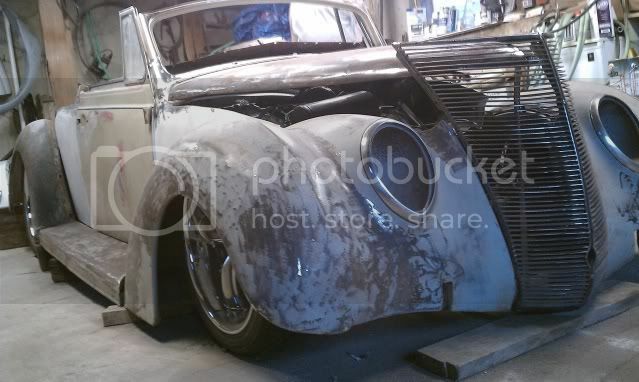 I think a trip to an old classic car junk yard will turn up a rear coupe trunk lid, hinges and frame that just MIGHT take care of any motor carb clearance? Damn Mark that looks nice!! Wicked. I think I just fell in love. new here so hello every one, this is what i am talken about! can we see more detial pictures of your build? It's looking even better than I imagined. Tonight I'm picking up the front cowl section off a '37. 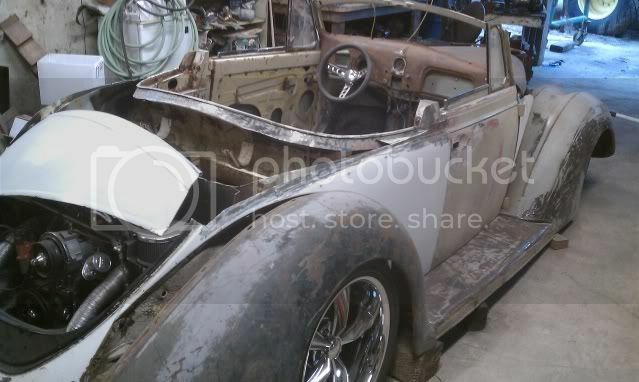 Once I have that final piece, I think I'll cut off the bug cowl off and use that for the rear decklid. I know most have used a Super windshield frame to get the arch, but since I have the convertible clip, I don't think I'll need the super piece. 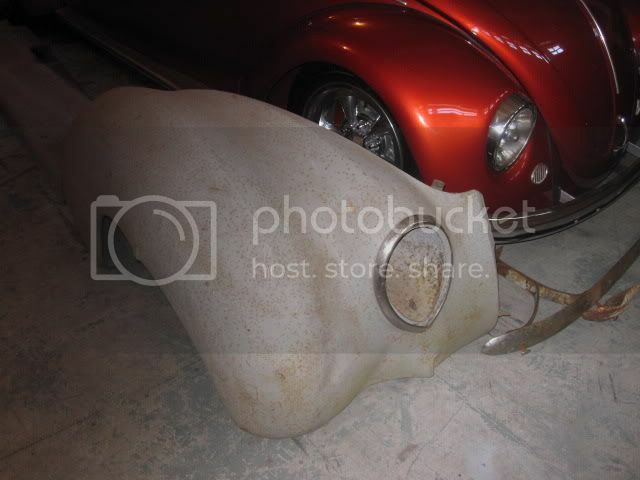 Plus I have the front bug hood to cut up.